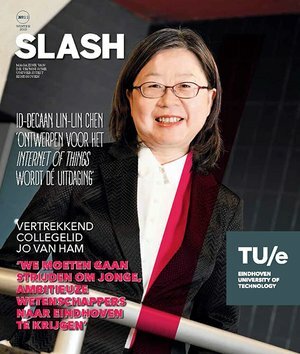 Slash is the corporate magazine of Eindhoven University of Technology (TU/e). It reports about research, education, and our collaborations with the industry. There’s a special focus on our Strategic Areas Energy, Health, and Smart Mobility. Slash (in Dutch only alas) is published three times a year. Interested in a free subscription to Slash? Then please fill out the registration form or send us your contact details via e-mail.